Share the post "Sun, Fun and Food: Your Ultimate Picnic Checklist"
As weather gets warmer you can’t help but want to spend time outside. Longer days beckon us to work, play and even eat outdoors. What better way to enjoy food and friends outside than with a picnic? Whether you’ve never been on a picnic in your life or you’re a picnic pro, this list will have you well equipped to enjoy a great summer meal. There are a few basic items that you’ll want to have on hand whether it’s you and a special someone or the whole family is joining in. A bag or basket – When you think picnic you think basket, however there are many variations of bags and totes that are great for carrying food. Some have built-in insulation and can be slung over your shoulder. 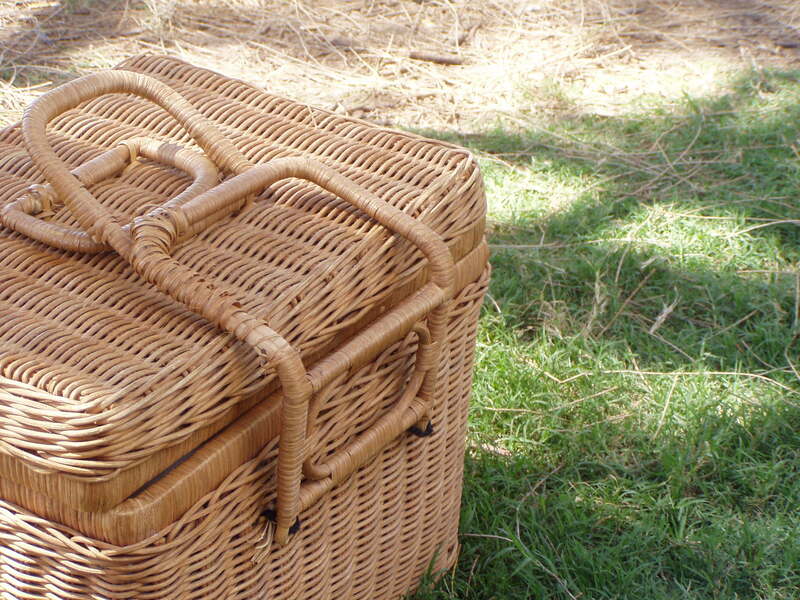 For many, it just isn’t a picnic without the traditional picnic basket. A blanket – You can certainly use any old blanket you have lying around but it can be worthwhile to purchase a blanket with a waterproof backing. This will keep dampness from seeping through the bottom of your blanket as you enjoy your picnic. Don’t have time to get a waterproof blanket? Lay down a vinyl tablecloth before spreading out your blanket. Ice packs – If you have any food items that need to be kept cold, especially if you plan to stay a while, it is wise to have a variety of sizes and shapes of ice packs. You can even find flexible ones that can wrap around food containers. Plates, cups and utensils – You may choose to pack disposable items so you can just toss them away after your picnic and not give a thought to clean up. Perhaps you prefer to save money (and the planet) by using a set of reusable sturdy plastic dish ware. Napkins – As with the dishes and cutlery you may choose to pack paper napkins or go green by packing cloth. Whichever you choose, just be sure to bring some or everyone will end up using the blanket, or their clothing, to wipe their hands and face. Trash bag – To clean up your mess of course! It wouldn’t be right to spend a day enjoying a meal in nature only to leave trash behind. The food you pack should be easy to transport and eat on a picnic. Any food should be well sealed in containers to keep from spilling. Sandwiches, fruits, veggies and chips are all popular options. But don’t feel that you need to limit yourself. Get creative and have some fun with it (your kids might even be willing to try a new food while wrapped up in the fun of a picnic). You can find a variety of cold salad recipes online. This can be a great main dish (or bring a few varieties) and you can add in fruits, homemade granola bars and even frozen yogurt tubes. Be sure that you bring along drinks as well as any condiments you may need. When it comes to picnic food, the sky is the limit. From romantic picnics for two to family events with aunts, uncles and grandma, this checklist will have you prepared to enjoy a wonderful picnic, instead of worrying about forgotten items. Happy picnicking! 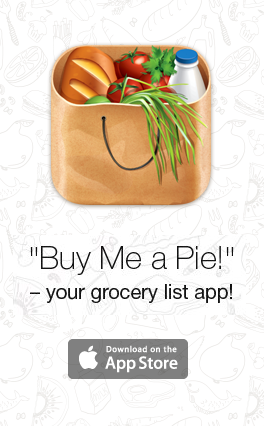 What’s your favorite food to bring on a picnic?